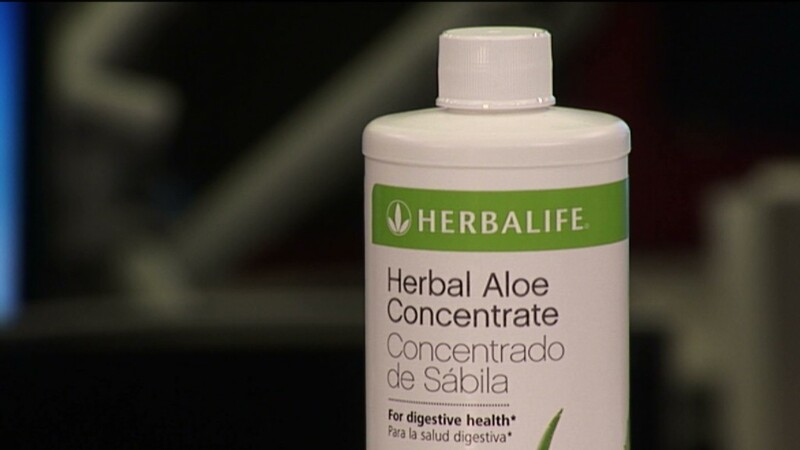 Controversial nutritional supplements company Herbalife scored a huge victory Friday. It agreed to a $200 million settlement with the U.S. Federal Trade Commission, ending a two-year investigation by the government agency. And although the FTC stopped short of saying that Herbalife is not a pyramid scheme, investors interpreted the settlement as a sign that the FTC does not deem it as one -- and that the worst may finally be over for the company. Herbalife has been under fire from activist hedge fund manager Bill Ackman since December 2012. That's when he first accused the company of being a scam that had zero value. The FTC subsequently opened its probe of Herbalife in early 2014. Herbalife (HLF) stock surged nearly 10% Friday on the news. The stock has doubled since Ackman first told the world he was betting against the stock nearly four years ago. "The settlements are an acknowledgment that our business model is sound and underscore our confidence in our ability to move forward successfully, otherwise we would not have agreed to the terms," said Herbalife chairman and CEO Michael Johnson in a statement. Herbalife is a so-called multilevel marketing company that relies on distributors recruiting others to sell the company's products. The practice is used by other well-known consumer brand name companies, such as Avon (AVP), Tupperware (TUP), Mary Kay and the Pampered Chef -- which is owned by Warren Buffett's Berkshire Hathaway (BRKA). Distributors make money not just from their own sales of the product but also get a cut of the sales generated by people they recruit. It's legal but the practice has many detractors. Often, only a small number of sellers actually make money. FTC chairwoman Edith Ramirez acknowledged this in the agency's own statement. "This settlement will require Herbalife to fundamentally restructure its business so that participants are rewarded for what they sell, not how many people they recruit," she said. "Herbalife is going to have to start operating legitimately, making only truthful claims about how much money its members are likely to make, and it will have to compensate consumers for the losses they have suffered as a result of what we charge are unfair and deceptive practices," she said. The FTC said a portion of the $200 million settlement would be given to consumers who purchased large quantities of Herbalife products ... and lost money." But the FTC added it will give more specifics about who gets what at a later date. As part of the settlement, Herbalife agreed that it will now differentiate between distributors who buy products at a discount and those who are selling directly to consumers, as opposed to other Herbalife members. Distributors will now also be compensated on actual retail sales to consumers -- and the distributors must provide verified receipts to prove the sales are legitimate. Herbalife said it still believes "many of the allegations made by the FTC are factually incorrect" but that a "settlement is in its best interest because the financial cost and distraction of protracted litigation would have been significant." The company added that it was not changing its business model as a result of the settlement. Herbalife also reached a separate agreement with the Illinois Attorney General and it would pay $3 million as part of that deal. But Ackman, who runs the hedge fund Pershing Square Capital Management, doesn't appear to be backing down yet. He has continued to claim that Herbalife was a fraud that misrepresented its sales. There was even a documentary called "Betting on Zero" about it -- and it was shown at this year's Tribeca Film Festival. Throughout the past few years, Ackman has feuded with fellow hedge fund managers Dan Loeb and Carl Icahn, who were both fans of the company and owners of the stock. Ackman and Icahn had a memorable on-air battle on CNBC in 2013 about the stock that lasted for nearly half an hour, with both billionaires trading insults as they defended their stance on Herbalife. They've since kissed and made up, so to speak. Ackman isn't backing down though. His firm, Pershing Square Capital Management, put out a release Friday afternoon congratulating the FTC. "We expect that once Herbalife's business restructuring is fully implemented, these fundamental structural changes will cause the pyramid to collapse," Pershing Square said. The firm added that it intended to work with regulators in 90 other countries "to ensure that no future victims are harmed whether in the U.S. or otherwise." Pershing Square also put out a press release on Thursday in which it touted the latest video it published on its anti-Herbalife website. "99% of Herbalife distributors earn less than minimum wage and 86% earn nothing from the company," Pershing Square said. Icahn remains a big supporter of Herbalife though -- and is continuing to benefit from the stock's surge. Herbalife announced Friday that it was giving Icahn Enterprises (IEP) and other Icahn affiliates the right to increase their stake in Herbalife to 34.99%. Icahn currently owns 18.3% of Herbalife and five of his associates are on the company's board. Icahn said in a statement Friday that he continues to have the "greatest confidence" in Johnson and the Herbalife management team. He took a shot at Ackman too, noting that Ackman has said numerous times Herbalife would be shut down. "Obviously, we are still here," Icahn said.